July 11, 2018 • 6 p.m. • Bloomington, Ill. The Northwest Indiana Oilmen are still trying to regain the form they displayed during last month’s franchise-long winning streak as they attempt to snap out of a recent cold spell that has seen them drop six of their last eight. The Oilmen suffered their first one-run defeat of the season on Tuesday at Joliet, succumbing to the Generals 9-8. The top of the order performed well as Brandon Petkoff and Jake Plastiak had two hits apiece and each scored twice in the defeat. The Oilmen scored four times in the sixth to take a 6-5 lead, then two more in the seventh to add on. Joliet tied the game with three in the bottom of the seventh, then went in front for good with a run in the bottom of the eighth. The lead over Bloomington for third place currently sits at 1 ½ games, while the Generals have enjoyed a recent hot streak to pull within 2 ½ of the Oilmen. The top four teams in the MCL reach the postseason. Jake Plastiak slugged his second home run of the season on Tuesday, becoming the sixth Oilmen player with multiple home runs this year. Plastiak’s blow, which came in the opening inning, was the 17th Oilmen big fly of the summer. That puts the 2018 Oilmen in a tie with the 2015 team for the most home runs in franchise history. With their next home run, the Oilmen will shatter the franchise record. During this eight-game stretch, both of the Oilmen wins have come in walk-off fashion. Brenden Butler had a bases-clearing double to help the Oilmen cause, but it was not enough on Tuesday. 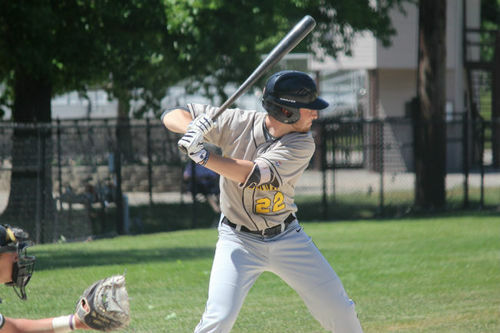 The Oilmen will utilize southpaw Sawyer Allen in a starting capacity on Wednesday. He owns a 6.35 ERA in nine games this season, all relief appearances. His longest outing of the year came on June 7 against the Vikings, when he worked 4 1/3 innings. Allen pitched one inning against Bloomington and allowed three runs (one earned) on June 27. The lefty has issued just five walks and struck out 20 in 22 2/3 innings. Bloomington’s fate was identical to Northwest Indiana’s on Tuesday as the Bobcats too went on the road to swallow a tough 9-8 defeat. Southland scored three in the bottom of the ninth to force extras, then walked off on a single by Logan Anderson in the bottom of the 10th. Bloomington had both the MCL Player and Pitcher of the Week this past week, as Billy Mote and Quinn Gudaitis swept the awards. Gudaitis threw a complete-game shutout against the Oilmen, and Mote hit .556 while slugging two home runs and driving in seven. 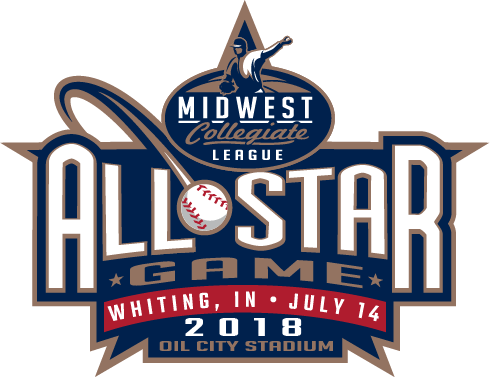 Much of Mote’s damage also came against the Oilmen as he had six hits and two longs balls in a doubleheader sweep of NWI last Tuesday at O’Neil Park. Mote continued his hot streak on Tuesday at Southland with two more hits. This will mark the fifth time in the last eight days the Bobcats and Oilmen have faced off. It will also represent the final meetings of the year between the two squads. The Bobcats have already secured the season series by winning six of the first nine meetings. Bloomington owns a 16-12 lead in the all-time series, which dates back to 2016. The Oilmen are 0-4 when visiting the Bobcats this season and are 5-10 all-time at Bloomington. Click here to view full PDF game notes.